AEROCLUB – Wednesday 13th February- Post war Airliners needed navigators! Leith Whittington, navigator, presents “Post war Airliners needed navigators!”. Leith joined the Flight Operations section of British United Airways in late 1969 as a Trainee Navigator working in Flight Dispatch between training flights and terms at the London School of Navigation, Sir John Cass College, London. 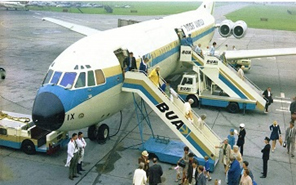 The long haul fleet comprised four Vickers VC10 aircraft with routes to North, East and West Africa, South America together with occasional charter flights to North America. 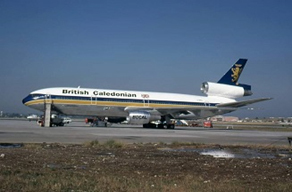 In 1973, British United Airways combined with Caledonian Airways. British Caledonian was born. At this time the long haul fleet comprised the four VC10’s and six Boeing 707’s. All long haul flights carried Flight Navigators and the route network expanded to include a wide range of destinations on charter work. Aeronautical navigation at that time was by traditional methods. Leith will explain the methods and tools of navigation at that time and tell the story of the replacement of the professional navigator with electronic systems which, by the late 1970’s, had removed them from the flight deck: The electronic age had begun. Many navigators were made redundant and moved into other careers or retired. Leith’s journey was different and took him into the training school where he trained pilots how to use the systems that had replaced him and others on the flight deck. This AEROCLUB talk seems very interesting. Would enjoy learning more about the methods and tools of aeronautical navigation back then. The presentation is open to all, hopefully we will see you there.